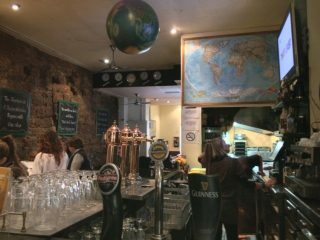 Here at Travel Bar, we have the experience to know the best pubs and bars in Barcelona. 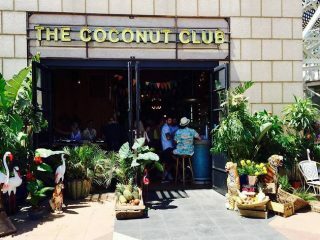 If you’re looking for a bar in Barcelona, check out our list below for the very best! Duh, of course the first one would be us. What were you thinking? With pub quizzes, a variety of drink selections, tours, and English-speaking staff, Travel Bar is the place to go for a drink! As far as pubs go, this one is alright by us. 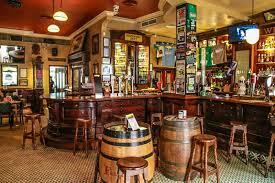 In the heart of the gothic quarter, this pub features fine pub fare and an Irish feel. Find Paddy Flaherty’s website here. 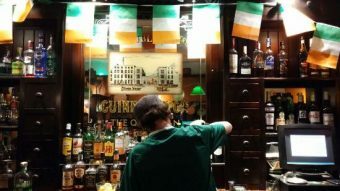 Continuing the Irish-themed bars and pubs, Shenanigans Irish Pub is another fun pick, with a selection of craft beers and their own quiz night, we think this pub is just fine. Chupito is Spanish for “shot” (and we’re not talking about the gun-range kind), making this bar a little on the Barcelona wild side. 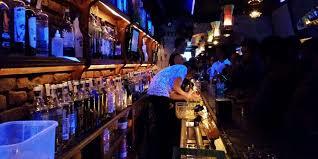 Their specialty is–you guessed it–shots, so we recommend stopping in to get started for the night. On the beach right next to the Port Olimpic, Coconut Club is a fun dance club and bar. Make sure to hit up this club with your friends if you want to party the night away! You’ve consulted the Barcelona night life experts, and these are all of our picks for the best bars in Barcelona. Thanks for stopping in! Check out our page for more information on planning your stag or hen party in Barcelona! If you’re interested in learning more about our packages, click here. Planning a wedding? Check out our blog posts on Barcelona’s photographers, wedding venues, some proposal ideas, and more! Planning the stag party? We specialize in hen and stag parties in Barcelona, so be sure to look at our recommendations for hen and stag activities here and here. Travel Bar is the Barcelona company that specializes in hen and stag weekends, offering Barcelona’s best tours and experiences. To see Travel Bar’s hen packages, tours, and activities, visit us at www.travelbar.com. or Send Us An Enquiry Now!